Time changes all things, including rivers. 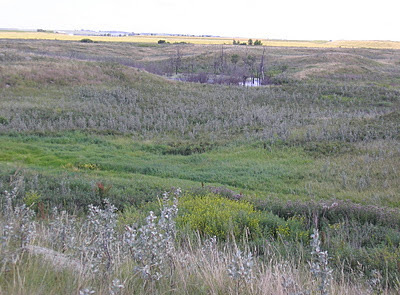 Hundreds of years ago, the South Saskatchewan River flowed north and then east from the Forestry Farm before connecting with the current river valley at Clark’s Crossing. In time, the river moved on, leaving behind it a shallow rock-strewn basin that stretches for 26 kilometers. This is the Northeast Swale. 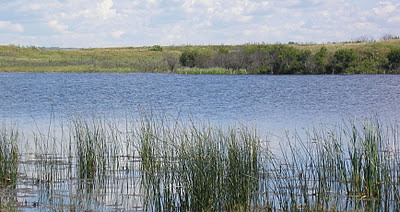 There are ponds, marshes and rich grassy stretches in the lowlands, while wildflowers thrive on the rocky slopes. There are over 50 duck nests around the largest slough, and wild animals pass through the corridor on their way to the river for water. The land was far too wet and rocky to be farmed or developed and is one of the few remaining areas of untouched native prairie. But as Saskatoon grows and expands, it is becoming enclosed by new residential developments. Volunteers spent 24 hours in early spring of 2011 identifying all the plants, birds and animals that make their home in the Northeast Swale. They identified over 150 different plants, including all three Prairie emblems: the red lily, Prairie lily, and crocus. They saw 76 different bird species, including several that are endangered (the short-eared owl, the uplands sandpiper, the common nighthawk, and the common grebe). A great blue heron flew over the slough when we toured the site. The bioblitz volunteers also identified 11 different species of mammals. There are mule deer in the aspen bluffs and a herd of 20 white-tailed deer in the rough, open area. A large boulder tells a story of earlier visitors to this site. 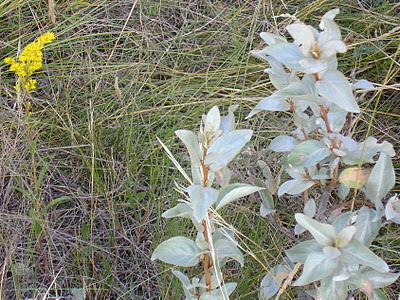 A shiny, smooth area indicates that buffaloes used to rub against it. Rusty wedges along a crack are a reminder that the early settlers turned rocks into cement in rock-lined kilns on the open prairie to serve as mortar in some of Saskatoon’s earliest buildings, such as the Little Stone School House. The area also provided some of the original greystone used to construct the first buildings on the university campus. The skyline of downtown Saskatoon is visible to the southwest and a new housing development is going in to the south of the Swale. There will eventually be housing on the east and north sides of the one kilometer-wide swale as well. The planners have approved a couple of crossings, but these should miss most of the premium native prairie. Development will bring many changes to the Swale. “We can’t preserve it,” says Mike Velonas, “but we can conserve it so that it becomes an asset to the residents living nearby.” He envisions a series of trails and signage so that residents can get outside and enjoy nature. Cyclists will be able to reach the riverbank and downtown for either work or pleasure. 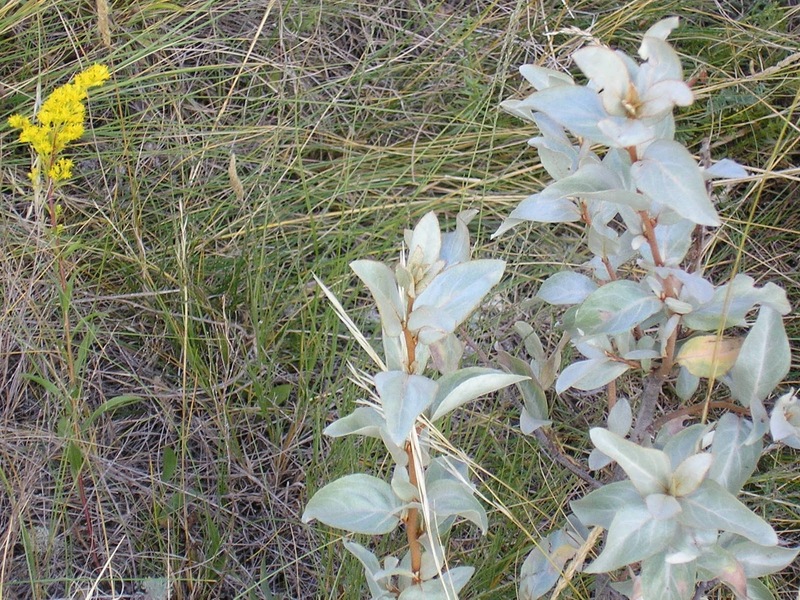 Increased nitrogen in the air and increased traffic will promote the growth of weeds and other foreign plants that risk crowding out the slow-growing wildflowers that thrive in low nitrogen soils. Luc Delanoy, the Resource Management Officer for the Meewasin Valley Authority, anticipates using controlled burns and grazing with sheep and goats to control the exotics. 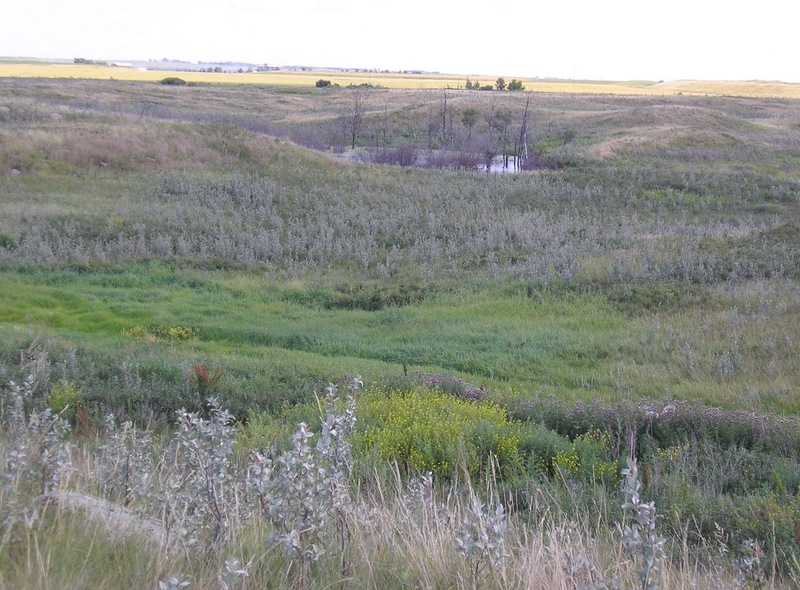 The Northeast Swale has the potential to provide Saskatoon’s new neighbourhoods with a vast natural playground for walking, cycling, birdwatching, and enjoying being outdoors. But conserving the area will require financial support and the collaborative effort of many different groups and organizations.